The domestic unit on Friday gained 10 paise to close at 71.14 on heavy foreign capital inflows. The rupee on Monday opened 12 paise higher at 71.02 against the US dollar amid rise in crude oil prices and positive Asian equities. 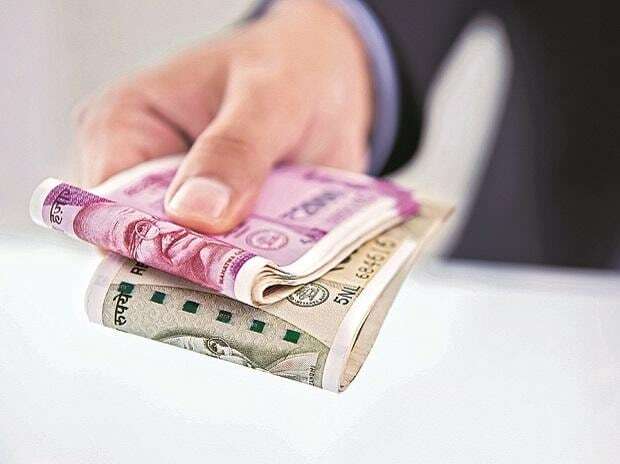 The domestic unit on Friday gained 10 paise to close at 71.14 on heavy foreign capital inflows after growing expectations that the Federal Reserve would keep interest rate on hold this year. The dollar-rupee February contract on the NSE was at 71.16 in the previous session. February contract open interest declined 4.92 per cent in the previous session, says ICICI securities in its daily currency report. "We expect the US$/INR to meet supply pressure at higher levels. Utilise up sides in the pair to initiate short positions," it said. On the global front, Asian share markets were trading higher after US President Donald Trump said he would delay a planned increase on Chinese imports as talks between the two sides were making “substantial progress”. MSCI’s broadest index of Asia-Pacific shares outside Japan added 0.14 percent to the highest since October, and is up 10 percent for the year so far, Reuters reported. International Brent crude oil futures were at $67.26 a barrel at 5:35 am, up 14 cents, or 0.2 per cent, while US West Texas Intermediate (WTI) crude futures were at $57.38 per barrel, up 11 cents, or 0.2 per cent, from their last settlement, said a Reuters report.